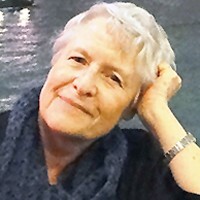 Linnée, Susan J. 75, died from an aggressive brain tumor on November 6 at the Walker Care Suites in Edina where she had been receiving hospice care since October 5th. Born in Sioux City, Iowa in 1942 to Jane and Carl Linnée, they moved to St. Louis Park later that year, where she lived until graduating from the University of Minnesota in 1962. Susan began her life's journey early, having visited all of the 'lower 48' states on car trips with her family before turning 18, followed by visits to 97 foreign countries from Scandinavia to the Falkland Islands to South Africa to Southeast Asia and China, while residing in nine of them. Her professional life was spent as a journalist, starting with NBC News in 1974 in Argentina, then with the Associated Press in the U.S., Europe and Africa, where she worked until 2004, rising to the rank of Bureau Chief (the first female in that role in Europe) in Madrid, Spain and later in Nairobi, Kenya. Living in Kenya in retirement she served with the International Crisis Group as their East African specialist, and with the Daily Nation newspaper in Nairobi as an editor and mentor. In 2013, she was selected as a Distinguished Alumnus of St. Louis Park High School, delivering the commencement address to their Class of 2013. Returning to Minnesota in 2015, she took up residence in Minneapolis, developing a keen interest in the East African immigrant community and contributing occasional book reviews to the StarTribune. Preceded in death by her parents. She is survived by her brother Paul (Jane), of Minneapolis, her beloved nieces Anne Linnee of Washington, D.C. and Maggie Linnee Cosgrove (Patrick) of Bloomington, MN and their children Finn and Molly Cosgrove and hundreds of friends, colleagues and mentees around the world. Memorial services will be held in Minneapolis and New York City in the coming months. Memorials are preferred to Twin Cities Public Television (tpt.org/…).